After a successful 18 month run the six sumptuous costumes that have taken centre-stage in Barley Hall’s galleries are leaving for the final time in May to make way for a new exhibition that will explore the often-fine line between science, religion and magic in the Middle Ages. Commented Sarah Maltby, director of attractions of York Archaeological Trust, the owners and operators of Barley Hall. 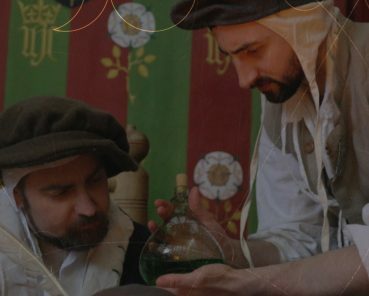 Both the costumes from the hit BBC Two drama and the wider ‘Power & Glory: York in the Time of Henry VIII’ will be making way for the new exhibition entitled ‘Magic & Mystery’ which opens on 21st June, the summer solstice. 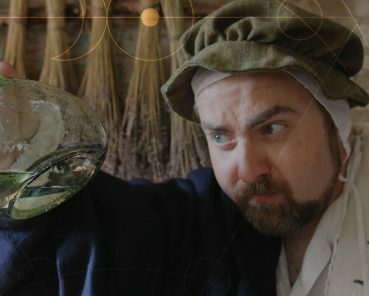 Wolf Hall Comes to York continues at Barley Hall until Thursday 31st May with Magic and Mysteryopening on Thursday 21st June. Entry to both exhibitions is included in standard admissions for the attraction. For more information please visit www.barleyhall.co.uk or call 01904 615505. 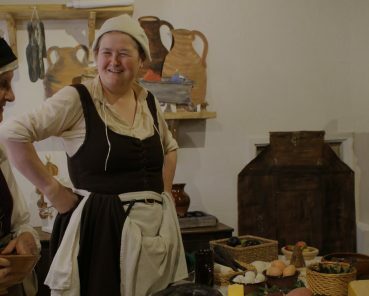 Once home to the Priors of Nostell and a Lord Mayor of York, Barley Hall is a reconstructed medieval townhouse located right in the heart of the city. It spent decades hidden behind a modern facade before archaeologists from York Archaeological Trust discovered the hall and spent years restoring the building to its former glory. Barley Hall is part of The JORVIK Group of Attractions, which includes the JORVIK Viking Centre.